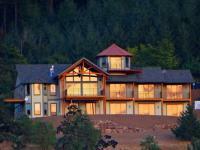 Here are the top hotels for your Willamette Valley wine tasting trip! This quirky trailer resort in the Willamette Valley is a 16-minute walk from Courthouse Square Park and 2 miles from both Sokol Blosser Winery and Stoller Vineyards. Vintage trailers with retro-chic decor come with flat-screen TVs, kitchenettes and coffeemaking facilities. They also include patios with BBQs. Some trailers offer free-standing tubs. Parking is free. Other amenities include an outdoor pool, a hot tub and space for lawn games, as well as bikes for rent. On 30-acres of leafy grounds amid wine country, this relaxed B&B is 4 miles from tours and tastings at Keeler Estate Vineyard, and 3 miles from the Oregon Route 99W. Guest rooms provide free Wi-Fi, flat-screen TVs, DVD players and sitting areas, as well as minifridges, microwaves, and en suite bathrooms with heated floors. Some rooms feature quirky wood furnishings. All offer floor-to-ceiling windows, patios or balconies. Breakfast is served in a casual dining area. 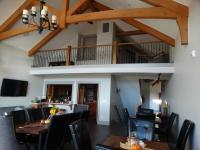 There's a communal patio with a fireplace, a gazebo beside a pond, and a rooftop loft with a deck and vineyard views. A lounge features sofas, a fireplace and a grand piano. Situated next to the Salem Convention Center, this polished downtown hotel is 2 blocks from Riverfront City Park and 5 blocks from the Oregon State Capitol. The traditionally styled rooms feature leather furniture, coffeemakers, flat-screen TVs and free Wi-Fi. Suites have separate living rooms, plus microwaves, minifridges and wet bars. A breakfast buffet is complimentary, and there's a Northwestern restaurant and a wine bar. The hotel also offers an indoor pool, a hot tub and a fitness room.